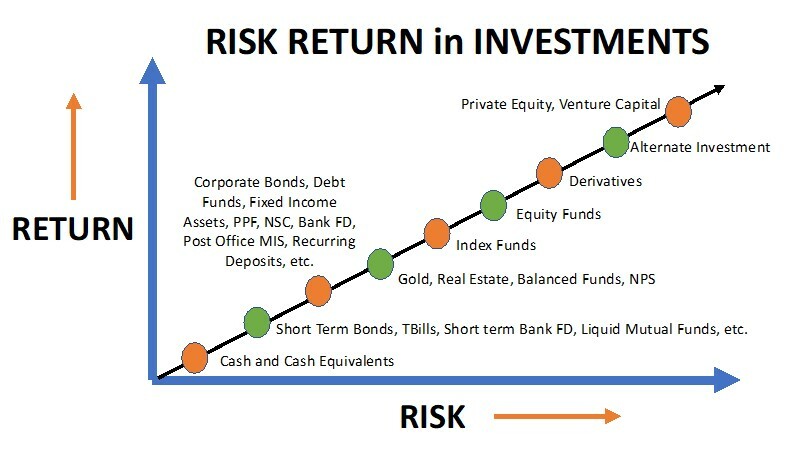 The risk return tradeoff is a principle of investment, which means that higher the risk in the portfolio, higher is the potential return possibility. However, high returns from a risk return trade off is not always guaranteed. To clarify the risk and return trade off and understand what is risk return trade off with an example, any investment with high risk may have a chance of high return, say, equity stocks. So, if the risk in an investment is high, then the possibility of return is also high, around 20-25% annually and may not be limited to just 6-8%. It basically means that the investment return is volatile and may fluctuate depending on market movements. However, the average return of equity would typically be 12-15% annually. On the other hand, if the risk in any particular investment is low, for instance in a fixed bank deposit, the chances of getting 20-25% annually may never happen. The returns will be more in the 6-8% bracket. However, it also means that the return can never become lower than 6%, especially negative. 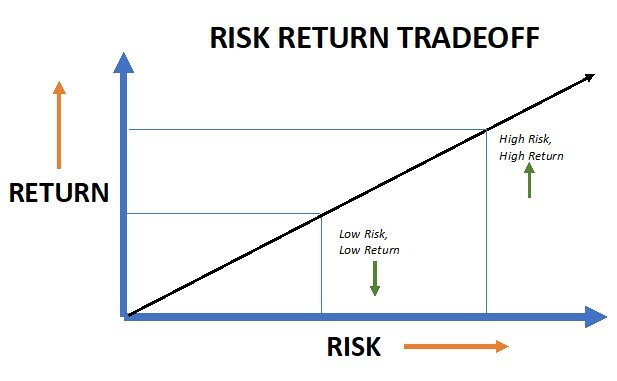 This is the trade off between risk and return. Hence, you need to take greater risks if you need a higher return on your investments. The concept of risk return trade off in finance is a widely accepted fact, but the associated risks with the portfolio are often neglected. 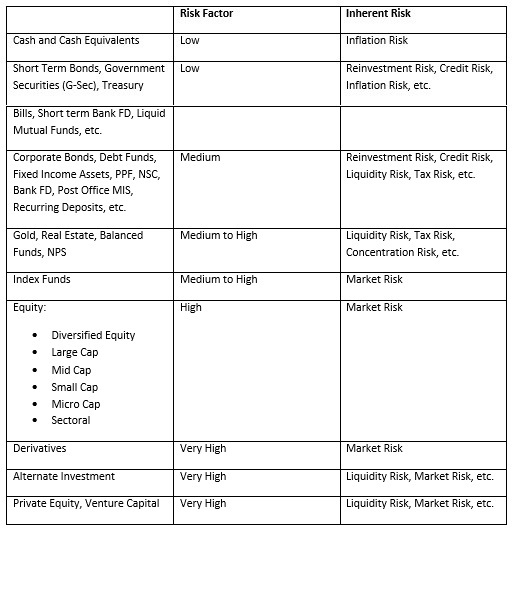 As far as investing is concerned, each and every investment has an associated risk with it. When you are looking to choose an investment, you need to look into its risk too so that the overall risk of the portfolio is managed accordingly. 1. Inflation risk reduces the purchasing power of cash reduces over time. Liquidity risk arises when selling an investment product at the right time can be a hassle. 3. There is tax risk as governments usually make taxation changes every year. 4. Concentration risk occurs when you buy too many of a particular investment product. 5. There is market risk because equity market is volatile. You need to find the right blend of risk and return. This is quite an important task because the return needs to be in line with your long-term financial goal. However, it is equally important that you don’t ignore the risk factor. The investment option you choose should match your risk appetite.